Most of the person have touchscreen facility on his laptop. If they face this type of problem then there is no need to stop his work. They have to use his touch screen to navigate his updated Windows 10 operating system and continue his working. But if you don’t have touch screen facility on your laptop and having touchpad issue in Windows 10, then how to resolve this problem. It is one of the major question in front of lot of persons. There are lot of person having touchpad issue in Windows 10, but there is no need to worry after reading this guide you can smoothly run touchpad of your laptop. There are lot of issues due to which touch pad does not working properly. But, if you upgrade your operating system from Windows 8.1 to Windows 10 and facing touchpad problem after upgradation there is no need to worry. 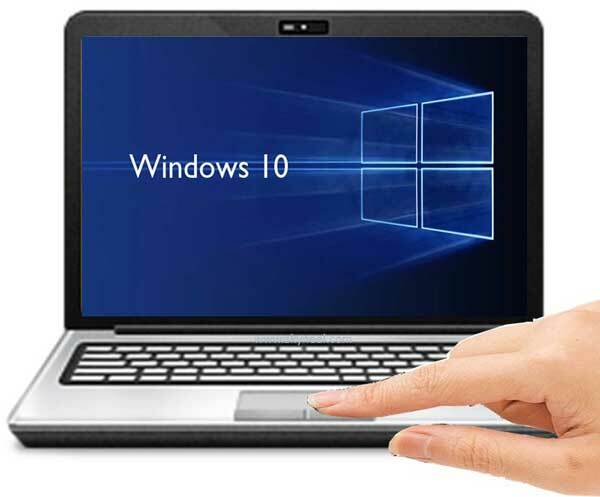 You can easily fix touchpad issue in Windows 10 operating system. Step 1: Connect an external mouse with your laptop. Step 2: Click on the “Settings” option from “Start” menu. Click on the “Devices” option in the “Settings” window. Step 3: Click on the “Mouse & touchpad” option and ensure that touchpad is “On“. Now, scroll down the screen and click on the “Additional mouse options” in the “Related settings“. Step 4: In the “Mouse Properties” box click on the “ELAN” or “Device Settings” tab. Check your touchpad is enabled or disabled. If your touchpad is disabled, click on the touchpad and then click on the “Enable” button. Step 5: Click on the “Apply” button and click on the OK button. Now after that your touchpad is working smoothly. If you feel your touchpad does not working properly then you have another way to update the drivers of Windows 10. If you want to update pointing device driver on your laptop then you must have to take few given steps. There are two methods from which you can easily update your touchpad or pointing device drivers to resolve the issue. Step 1: Click on the “Start” button and open the “Control Panel” box. Open the “Device Manager” window and select your laptop pointing device name under the “Mice and other pointing devices“. Step 2: Press right mouse button and click on the “Update Driver Software….” option. If you already turn on Internet on your laptop, it will check the updated drivers and start the updation process. Step 3: Click on the “Mouse & touchpad” option. In the mouse properties dialog box click on the “Hardware” tab and select your pointing device. Click on the “Change settings” button which open “ELAN Input Device Properties” box. In this box you have to click on the “Driver” tab. You have to click on the “Roll Back Drivers” button. It will ask you “Are you sure you would like to roll back to the previously installed driver software?” click on the “Yes” button. It will again ask you to change system settings again click on the Yes button. Now your system will be reboot after that you can check your touchpad is working smoothly. I hope after reading this guide if you having touchpad issue in Windows 10, then your problem will be resolved. If you have any query regarding this guide or face other type of problem please write us in the comment box. Thanks to all.